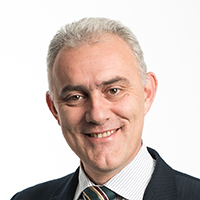 Professor Kovacevic holds his first degree in Mechanical Engineering from University of Sarajevo (1986) and postgraduate degrees in Mechanical Engineering from University of Tuzla, Bosnia & Herzegovina (MSc 1997) and The City University, London, UK (PhD 2002). Following his appointments as Researcher at University of Sarajevo (1986), Assistant Lecturer (1989) and Lecturer (1992) at the University of Tuzla, he joined City University London (1998) as the Research Fellow in the Centre for Positive Displacement Compressor Technology. He was appointed as Senior Lecturer in Mechanical Design at The City University (2004) and was promoted to Howden Chair in Engineering Design and Compressor Technology in 2008. Professor Kovacevic does extensive research in numerical modelling, analysis and design of positive displacement machines with focus on CFD modelling and parametric design of twin screw machines. Among many projects with industry he is currently establishing and promoting Research and Development activities of Howden Compressors Ltd, a major UK compressor manufacturer. The main educational interest of Professor Kovacevic is developing design excellence of engineering undergraduate and postgraduate students and linking these with industrial research. As a result of all these activities professor Kovacevic authored or co-authored 4 books, 21 Journal Papers, 100 Conference Papers, more than 50 Industrial Reports, he holds rights to several patents in the area of positive displacement machines, and has received 7 awards for best papers published in various journals and conferences including IMechE, ASME and World Geothermal Congress. The Centre for Positive Displacement Compressors Technology was established in 1995 to enhance positive displacement compressors technology and support industry in developments in this area. With support from leading academics, researchers and technicians with test cells, laboratory and workshop facilities the centre has collaborated with major compressor manufactures from all over the world. Services offered are: Preliminary project evaluation, Software development, Fault investigation, Thermodynamic and fluid flow studies, Stress analysis, Instrumentation and control, Noise prevention and elimination, Full product design and development, support in R&D etc. Further information: Unsteady thermo-fluid-solid interaction is a common fundamental physical phenomenon in leakage flows among various rotary machines. The effect of unsteadiness and conjugation have not been extensively studied previous and potentially this could lead to inaccurate or misleading engineering design strategies. The aim of this research is to improve performance of positive displacement machines by fully understanding conjugate heat transfer in leakage gaps. Further information: The 3D computational fluid dynamic simulation gives better insight into the flow parameters of screw machines. However, currently it is difficult to generate computational grids required for screw rotors with large helix angles. The aim of this research is to establish a methodology to enable accurate and fast CFD performance analysis of screw machines with large helix angles and other complex geometries like single screw or variable geometry machines. Further information: This research will concentrate on development and implementation of a computational model for fast and reliable performance prediction of an oil injected screw compressor. This three dimensional flow model will give insight in the distribution of oil in the compressor system, offer an opportunity to optimise the system with the objective to reduce oil charge and enhance heat transfer and oil separation. The model will be validated by the experimental results obtained in the test rig at City, University of London. The validated model will then be used to propose improvements in the oil injection and separation as well as minimisation of an oil system in a screw compressor with the objective to improve performance and reduce cost of the system and its impact on environment. Further information: The performance of a packaged electrically driven screw compressor depends upon a number of factors. The most important of these are the rotor and casing design, cooling and lubrication and part load control. Each of these has both a positive and a negative influence and the aim of this project is to develop a method to optimise the performance to cost ratio of the whole system, over the entire operating range by optimising all these effects simultaneously. Further information: To determine flow characteristic at the inlet of screw compressor by means of modern measuring methods and to integrate obtained results with predicted values in the common calculation suite. Further information: The operation of twin rotor screw compressors will be researched with particular focus on the geometry of the rotors. It will advance this technology by considering how alterations made to the rotor profile or the way in which this geometry is defined can be used. This will be achieved by developing novel optimisation procedures, redefining optimisation input parameters from the rotor profile generation algorithm and identifying the optimisation criteria for specific compressor applications. Further information: High pressures in screw machines coul dbe achieved by increasing the number of the rotors. Such techniques are not implemented, mainly due to inability to accurately analyse processes in a complex domain shapes of such machines. This research projects will develop knowledge and tools required for calculating such machines which will increase business opportunities of the University through the Compressor Centre by means of patents, new contract and possible spin offs. Further information: Intermittent gas flows of a screw compressor generate pressure oscillations in the suction and discharge systems. These are the main source of structural vibration and noise within the compressor system. Earlier studies did not help in finding a means to reduce these gas pulsations. This thesis describes a detailed analytical and experimental study of the screw compressor process, which was therefore carried out to predict the level of gas pulsations thus generated and how they could be reduced. Further information: The aim of this research is to understand how various instabilities affect compressor performance and to develop appropriate modeling methods which will enable improvement of performances and reliability of screw compressor during transient operations. Further information: The aim of this research project is to investigate, develop and validate suitable turbulent models to improve the accuracy of existing Computational Fluid Dynamics (CFD) calculation method for screw compressors. Apart of improvement in accuracy, this research may lead to improvements in following aspects of analysis of internal flows. Smith, I.K., Stosic, N. and Kovacevic, A. (2014). Power Recovery from Low Grade Heat by Means of Screw Expanders. ISBN 978-1-78242-189-4. Screw Compressors - Computational Fluid Dynamics. ISBN 978-3-642-07164-5. Kovacevic, A., Stosic, N. and Smith, I.K. (2006). Screw Compressors: Three Dimensional Computational Fluid Dynamics and Solid Fluid Interaction Effects. Berlin: Springer Verlag. ISBN 3-540-36302-5. Stošić, N., Smith, I.K. and Kovačević, A. (2005). Screw compressors. Springer Verlag. ISBN 978-3-540-24275-8. Stošić, N., Smith, I.K. and Kovacevic, A. (2005). Screw compressors. Springer Verlag. ISBN 978-3-540-24275-8. Stosic, N., Kovacevic, A. and Smith, I.K. (2005). Screw Compressors: Mathematical Modeling and Performance Calculation. Berlin: Springer Verlag. ISBN 3-540-24275-9. Husak, E., Kovacevic, A. and Rane, S. (2018). Numerical Analysis of Screw Compressor Rotor and Casing Deformations. Lecture Notes in Networks and Systems (pp. 933–940). Chukanova, E., Stosic, N. and Kovacevic, A. (2013). Numerical analysis of unsteady behaviour of a screw compressor plant system. 8th International Conference on Compressors and their Systems (pp. 129–139). Cambridge: Woodhead Publishing. ISBN 978-1-78242-169-6. Buckney, D., Kovacevic, A. and Stosic, N. (2013). Experimental validation of a geometry model for twin screw machines. In City University London, (Ed. ), 8th International Conference on Compressors and their Systems (pp. 237–246). Cambridge: Woodhead Publishing. ISBN 978-1-78242-169-6. Pascu, M., Heiyanthuduwage, M., Mounoury, S., Cook, G. and Kovacevic, A. (2013). A study on the influence of the suction arrangement on the performance of twin screw compressors. ASME 2013 International Mechanical Engineering Congress and Exposition ISBN 978-0-7918-5631-4. Kovacevic, A. (2008). Competence development in an international product design course. Proceedings DESIGN 2008, the 10th International Design Conference (pp. 1383–1392). ISBN 978-953-6313-89-1. Kovacevic, A., Stosic, N., Smith, I.K. and Mujic, E. Developments in Modeling Positive Displacements Compressor Machines. Engineering the Future SCYIO. Mujić, E., Kovačević, A., Stošić, N. and Smith, I.K. Noise Control by Suppression of Gas Pulsation in Screw Compressors. Advances in Noise Analysis, Mitigation and Control InTech. ISBN 978-953-51-2674-4. Sun, S., Kovacevic, A., Bruecker, C., Ghavami, M., Rane, S., Singh, G. … Leto, A. (2018). Experimental Investigation of the Transient Flow in Roots Blower. 24th International Compressor Engineering Conference 9-12 July, Purdue University, Lafayette, IN, USA. Karvountzis-Kontakiotis, A., Singh, G., Kovacevic, A. and Rane, S. (2018). CFD Modelling of a Twin Screw Expander Using a Single Domain Rotor Grid. Gursharanjit Singh 9-12 July, Purdue University, Lafayette, IN, USA. Kovacevic, A., Howell, B., Tarnok, Z., Hazen, G., Jagadeesh, C., Read, M. … Leto, A. (2018). Application of “CODeve” methodology in transatlantic student design project. Kovacevic, A., Vukasinovic, N., Pavkovic, N. and Horak, P. (2017). Evaluation of “Codeve” methodology for teaching npd to virtual design teams. Rane, , kovacevic, A. and stosic, N. (2016). CFD Analysis of Oil Flooded Twin Screw Compressors. 23rd International Compressor Engineering Conference 11-14 July, Purdue University, USA. Bianchi, G., Rane, , Kovacevic, , Cipollone, R., Murgia, S. and Contaldi, G. (2016). Development of a general numerical methodology for CFD analyses in sliding vane machines and application on a mid-size oil injected air compressor. 23rd International Compressor Engineering Conference 11-14 July, Purdue University USA. Stosic, N., Rane, S., Kovacevic, A. and Smith, I.K. (2016). Screw rotor profiles of variable lead vacuum and multiphase machines and their calculation models. Vidovics, B., Vukasinovic, N., Pavkovic, N. and Kovacevic, A. (2016). Development of methodology for distributed collaborative design environment. Vidovics, B., Vukašinovic, N., Pavkovic, N. and Kovačevic, A. (2016). Introduction of methodology for distributed collaborative industry-academia project based learning. Kovacevic, A. (2015). 9th International Conference on Compressors and their Systems. 9th International Conference on Compressors and their Systems 7-9 September, London, UK. Chukanova, E., Stosic, N. and Kovacevic, A. (2015). Modelling and experimental investigation of compressor plant operation under unsteady conditions. Mamo, J., Farrugia, P., Borg, J., Wodehouse, A., Grierson, H. and Kovacevic, A. (2015). Using engineering design tools in multidisciplinary distributed student teams. Rane, S., kovacevic, A., Stosic, N., Jiang, Y., Furmanczyk, M. and Lowry, S. (2014). Influence of approaches in CFD Solvers on Performance Prediction in Screw Compressors. 22nd International Compressor Engineering Conference 14-17 July, Purdue University USA. Arjeneh, M., Kovacevic, , Rane, , Stosic, and Gavaises, M. (2014). Study of Multiphase Flow at the Suction of Screw Compressor. 22nd International Compressor Engineering Conference 14-17 July, Purdue University USA. Kovacevic, A., Rane, S. and Stosic, N. (2014). Screw compressor with variable geometry rotors - analysis of designs by CFD. Frost, K., Linda, S., Kovacevic, A. and Rane, S. (2014). Flyable - Design of fuselage for two seater aircraft to be flown by a disabled pilot: Learning outcomes from different approaches to lectures. Rane, S., Kovacevic, A., Stosic, N. and Kethidi, M. (2013). CFD grid generation and analysis of screw compressor with variable geometry rotors. Kovacevic, A. and Rane, S. (2013). 3D CFD analysis of a twin screw expander. Loumakis, G., Wood, B., Birse, F., Burek, S., Kovacevic, A. and Rane, S. (2013). Case study on a conceptual design of solar thermal collectors using a collaborative framework of engineering design and product design tools. Rane, , Kovacevic, A. and Kethidi, M. (2012). CFD Modeling in Screw Compressors with complex multi rotor configurations. 21st International Compressor Engineering Conference 16-19 July, Purdue University USA. Kethidi, M., Kovacevic, A., Stosic, N. and Rane, S. (2012). Modelling of turbulence in screw compressor flows. THMT-12. Proceedings of the Seventh International Symposium On Turbulence, Heat and Mass Transfer Palermo, Italy, 24-27 September, 2012 13-19 June. Chukanova, E., Stosic, N., Kovacevic, A. and Rane, S. (2012). Identification and quantification of start up process in oil flooded screw compressors. Bohemia, E., Blythe, M., Cruickshank, L., Fain, N., Kovacevic, A. and Steane, J. (2012). Exploring new forms of online collaborative design: Workshop discussion paper. Fain, N., Kovacevic, A. and Fairbairn, J. (2012). Technical-commercial interface - A baseline for successful new product development. Stosic, N., Nietcho, J.A. and Kovacevic, A. (2011). The Use of a Unique Tool for Manufacturing Screw Compressor Rotors of Varying Configuration, Centre Distance and Helix Angle. 7th International Conference on Compressors and Their Systems 5-6 September, London, England. Kethidi, M., Kovacevic, A. and Stosic, N. (2011). Evaluation of Various Turbulence Models in Predicting Screw Compressor Flow Processes by CFD. 7th International Conference on Compressors and Their Systems 5-6 September, London, England. Buckney, D., Kovacevic, A. and Stosic, N. (2011). Consideration of Clearances in the Design of Screw Compressor Rotors. 7th International Conference on Compressors and Their Systems 5-6 September, London, England. Stosic, N., Smith, I.K. and Kovacevic, A. (2011). Numerical and experimental research in heat transfer to screw compressor rotors. 13-17 March, Honolulu, Hawaii, USA. Kovacevic, A., Stosic, N., Mujic, E., Smith, I.K. and Guerrato, D. (2011). Extending the role of computational fluid dynamics in screw machines. Smith, I.K., Stosic, N., Mujic, E. and Kovacevic, A. (2011). Steam as the working fluid for power recovery from exhaust gases by means of screw expanders. Luckkana, K., Patel, V., Negi, V., Raipancholi, H., Yola, I., Dhunput, A. … Kovacevic, A. (2011). Industrial undergraduate project-remote monitoring for screw compressors. Pavković, N., Marjanović, D., Kovačević, A. and Fain, N. (2011). Industrial partnership in design education - Experiences from EGPR course. Nietcho, J.A., Stosic, N. and Kovacevic, A. (2011). The use of a unique tool for manufacturing screw compressor rotors of varying configuration, centre distance and helix angle. Heiyanthuduwage, M.A., Mounoury, S. and Kovacevic, A. (2011). Performance prediction methods for screw compressors. Stosic, N., Smith, I.K., Kovacevic, A. and Mujic, E. (2010). Development of Water Lubruicated Compressor Expander for Fuel Cell Application. 12-18 November, Vancouver, British Columbia, Canada. Kovacevic, A., Mujic, E., Smith, I.K., Stosic, N. and Kethidi, M. (2010). Turbulence Capture in CFD for Screw Machines. Conference on Screw Type Machines VDI-Schraubenmachinen October, Dortmund, Germany. Kovacevic, A., Mujic, E., Stosic, N. and Smith, I.K. (2010). Extending the Role of Computational Fluid Dynamics in Screw Machines. 20th International Compressor Engineering Conference at Purdue July. Stosic, N., Kovacevic, A., Smith, I.K. and Mujic, E. (2010). Three Decades of Modern Practice in Screw Compressors. 20th International Compressor Engineering Conference at Purdue July. Kovacevic, A., Mujic, E., Stosic, N. and Smith, I.K. (2010). Advanced Design Environment for Screw Machines. 20th International Compressor Engineering Conference at Purdue July. Stosic, N., Smith, I.K., Kovacevic, A. and Mujic, E. (2010). Research in Water Lubricated Screw Compressors for Fuel Cell Application. FC Expo, Academic Forum March, Tokyo. Ghazihesami, R., Verdeguer, J., Jeshani, S., Halai, A., Gowree, E., Valtera, J. … Kovacevic, A. (2010). Use of a structured engineering design process in expanding markets of SME's. Halai, A., Jeshani, S., Ghazihesami, R., Verdeguer, J., Gowree, E., Valtera, J. … Kovacevic, A. (2010). Challenges in conceptual design of fencing systems, students view. Stosic, N., Smith, I.K. and Kovacevic, A. (2009). Steam as the Working Fluid for Power Recovery from Exhaust Gases by Means of Screw Expanders. International Conference on Compressors and Their Systems 7-9 September, London, England. Stosic, N. and Kovacevic, A. (2009). Relation of Modelling and Measurement in Design of Positive Displacement Machines. Engines and Vehicles Symposium April, Belgrade. Okezue, C., Kovacevic, A., Mujic, E., Stosic, N. and Smith, I.K. (2009). Overview of methods used for the analysis of multiphase flows in positive displacement screw machines. Smith, I.K., Stosic, N. and Kovacevic, A. (2009). Steam as the working fluid for power recovery from exhaust gases by means of screw expanders. Mujic, E., Kovacevic, A., Stosic, N. and Smith, I.K. (2009). Numerical modelling of gas pulsations in a screw compressor. Machado, L., Hashi, M., Gowree, E.R., Ondoa, G., Gaind, R. and Kovacevic, A. (2009). Development of a modular screw compressor concept through EGPR course. Delash, T., Leyderman, A.D., Stosic, N., Smith, I.K. and Kovacevic, A. (2009). Rotor retrofit for better screw compressor performance in refrigeration and air conditioning. King, A., Plant, R. and Kovacevic, A. (2009). Improved design of gear pump porting through CFD simulation. Kovacevic, A., Stosic, N., Mujic, E., Smith, I.K. and Guerrato, D. (2009). Extending the role of computational fluid dynamics in screw machines. Machado, L., Hashi, M., Gowree, E.R., Ondoa, G., Gaind, R. and Kovacevic, A. (2009). Undergraduate project on conceptual design of a small screw compressor. Stosic, N., Kovacevic, A., Smith, I.K., Mujic, E. and Guerrato, D. (2008). Advances in Numerical and Experimental Investigation of Screw Compressors. International Conference on Compressor and Refrigeration September, Xian, China. Stosic, N., Kovacevic, A., Smith, I.K., Mujic, E. and Guerrato, D. (2008). Experimental Validation of CFD Calculations in Screw Compressors. IMechE Seminar ‘Computational Fluid Dynamics, how much is enough? September, London. Stosic, N., Smith, I.K., Kovacevic, A. and Mujic, E. (2008). Geometry of Screw Compressor Rotors and Their Tools. International Conference on Compressor and Refrigeration September, Xian, China. Stosic, N., Mujic, E., Kovacevic, A. and Smith, I.K. (2008). Reduction of Noise in Screw Compressors. 12th International Research/Expert Conference ‘Trends in the Development of Machinery and Associated Technology’, TMT 2008 26-30 August, Istanbul, Turkey. Stosic, N., Kovacevic, A., Smith, I.K. and Mujic, E. (2007). An evaluation of encapsulated oil flooded screw compressor systems. Seattle 2007. Stošić, N., Mujić, E., Smith, I.K. and Kovačević, A. (2007). Development of a rotor profile for silent screw compressor operation. Kovačević, A., Mujić, E., Stošić, N. and Smith, I.K. (2007). An integrated model for the performance calculation of screw machines. Mujić, E., Kovačević, A., Stošić, N. and Smith, I.K. (2007). The influence of port shape on gas pulsations in a screw compressor discharge chamber. Stosic, N., Mujic, E., Kovacevic, A. and Smith, I.K. (2007). The Influence of Port Shape on Gas Pulsations in a Screw Compressor Discharge Chamber. International Conference Compressors and Their Systems London, England. Kovacevic, A., Rakocevic, V., Exarchou, K. and Jeshani, M. (2007). Teaching an engineering design course in an interdisciplinary international academic virtual environment. Nouri, J.M., Guerrato D., , Stosic N., and Kovacevic A., (2006). Cycle resolved velocity measurements within a screw compressor. 18th Int. Compressor Eng. Conf. 17-20 July, Purdue. Stosic, N., Wang, Z., Zhang, W., Kovacevic, A., Smith, I.K. and Mujic, E. (2006). New Design and Rotor Retrofit to Improve Capacity and Performance of Refrigeration Screw Compressors. 18th International Compressor Engineering Conference at Purdue July. Stosic, N., Mujic, E., Kovacevic, A. and Smith, I.K. (2006). The Influence of Discharge Ports on Rotor Contact in Screw Compressors. 18th International Compressor Engineering Conference at Purdue July. Kovacevic, A., Stosic, N., Mujic, E. and Smith, I.K. (2006). INFLUENCE OF THERMAL DILATATION UPON DESIGN OF SCREW MACHINES. May, Dubrovnik - Croatia. Kovacevic, A., Stosic, N. and Smith, I.K. (2006). Numerical simulation of combined screw compressor-expander machines for use in high pressure refrigeration systems. Stosic, N., Smith, I.K., Kovacevic, A. and Mujic, E. (2006). Vacuum and multiphase screw pump rotor profiles and their calculation models. Kovacevic, A., Stosic, N., Mujic, E. and Smith, I.K. (2006). Influence of thermal dilatation upon design of screw machines. Alagic, S., Stosic, N., Kovacevic, A. and Buljubasic, I. (2005). A Numerical analysis of heat transfer and fluid flow in rotary regenerative air pre-heaters. Kovacevic, A., Stosic, N., Mujic, E. and Smith, I.K. (2005). Design Integration for Screw Compressors. Bihac, Bosnia and Herzegovina 2005. Kovacevic, A., Stosic, N., Mujic, E. and Smith, I.K. (2005). Analysis of clearances in combined screw machines. Kovacevic, A., Stosic, N., Smith, I.K. and Mujic, E. (2005). Clearance management in multifunctional screw machines. Stošić, N., Smith, I.K., Kovačević, A., Kim, J.U. and Park, J. (2005). Improving screw compressor performance. Mujic, E., Kovacevic, A., Stosic, N. and Smith, I.K. (2005). Noise prediction in screw compressors. Stosic, N., Alagic, A., Kovacevic, A. and Buljubasic, I. (2004). A Numerical Analysis of Heat Transfer and Fluid Flow in Rotary Regenerative Air Pre-Heaters,. ASME - ZSITS International Thermal Science Seminar June, Bled, Slovenia. Kovacevic, A., Stosic, N., Smith, I.K. and Mujic, E. (2004). Development of the management interface for screw compressor design tools. 14 April, Lausanne , Switzerland. Kovacevic, A., Stosic, N., Smith, I.K. and Mujic, E. (2004). Fluid-solid interaction in the design of multifunctional screw machines. Smith, I.K., Stosic, N. and Kovacevic, A. (2004). An improved system for power recovery from higher enthalpy liquid dominated fields. Stosic, N., Smith, I.K. and Kovacevic, A. (2004). Estimation and control of heat transfer in screw compressor rotors. Stosic, N., Smith, I.K. and Kovacevic, A. (2003). Improving refrigeration screw compressor performance with optimized rotors. 8-10 September, London, England. Kovacevic, A., Stosic, N. and Smith, I.K. (2003). The application of CFD analysis to the design of bi-functional screw machines. 8-10 September, London, England. Ionita, I.C., Ion, I.V., Smith, I.K., Stosic, N., Kovacevic, A., Iosifescu, C. … Popa, V. (2003). Cost-to-quality optimization of refrigeration. Stosic, N., Smith, I.K., Kovacevic, A., PEP, and PEP, (2003). Combined screw compressor-expander in fuel cell application. Stosic, N., Smith, I.K. and Kovačević, A. (2002). Optimization of Screw Compressor Design. VIII European Congress on Fluid Machinery for the Oil, Gas and Petrochemical Industry October. Stosic, N., Alagic S, and Kovacevic A, (2002). A Numerical Analysis of the Fluid Flow and Heat Transfer in Ljungsroem Air Preheater. TMT 2002, Neum, B&H September. Stosic, N., Smith, I.K. and Kovacevic, A. (2003). Optimization of screw compressor design. Jul 2002, Purdue. Kovacevic, A., Stosic, N. and Smith, I.K. (2002). Three-dimensional modelling of solid fluid interaction as a design tool in screw compressors. 14-17 May, Dubrovnik. Kovacevic, A., Stosic, N. and Smith, I.K. (2002). Numerical simulation of fluid flow and solid structure in screw compressors. Kovacevic, A., Stosic, N. and Smith, I. (2002). The influence of rotor deflection upon screw compressor performance. Smith, I.K., Stosic, N. and Kovacevic, A. (2002). Optimization of Screw Compressor Design. USA. Smith, I.K., Stosic, N. and Kovacevic, A. (2001). A feasibility study of throttle loss power recovery in large heat pumps with two stage compression. September, London, England. McCreath, P., Stosic, N., Smith, I.K. and Kovacevic, A. (2001). The design of efficient screw compressors for delivery of dry air. September, London, England. Kovacevic, A., Stosic, N., Smith, I.K., IMECHE, and IMECHE, (2001). Analysis of screw compressor performance by means of three-dimensional numerical modelling. Madhav, K.V., Stosic, N., Smith, I.K., Kovacevic, A., IMECHE, and IMECHE, (2001). The design of a family of screw compressors for oil-flooded operation. Smith, I.K., Stosic, N. and Kovacevic, A. (2001). Use of screw machines as a throttle valve replacement in refrigeration plants. Stosic, N., Smith, I.K. and Kovacevic, A. (2000). Design of oil-less helical twin screw machines. May, Dubrovnik, Croatia. Kovacevic, A., Stosic, N. and Smith, I.K. (2000). Grid aspects of screw compressor flow calculations. Smith, I.K., Stosic, N., Aldis, C.A. and Kovacevic, A. (1999). Twin screw two-phase expanders in large chiller units. September, London, England. Kovacevic, A., Stosic, N. and Smith, I.K. (1999). Development of CAD-CFD interface for screw compressor design. September, London, England. Stosic, N., Kovacevic, A. and Smith, I.K. (1998). Modelling of screw compressor capacity control. November, London, England. Stosic, N., Smith, I.K. and Kovacevic, A. (1998). Some aspects of tool design for screw compressor rotor manufacturing. May, Dubrovnik, Croatia. STOSIC, N., MILUTINOVIC, L., HANJALIC, K. and KOVACEVIC, A. (1990). EXPERIMENTAL INVESTIGATION OF THE INFLUENCE OF OIL INJECTION UPON THE SCREW COMPRESSOR WORKING PROCESS. West Lafayette, IND, USA. Sun, S.H., Kovacevic, A., Bruecker, C., Leto, A., Singh, G. and Ghavami, M. (2018). Numerical and Experimental Analysis of Transient Flow in Roots Blower. IOP Conference Series: Materials Science and Engineering, 425, pp. 12024–12024. doi:10.1088/1757-899x/425/1/012024 . Yan, D., Kovacevic, A., Tang, Q. and Rane, S. (2018). Numerical investigation of cavitation in twin-screw pumps. Proceedings of the Institution of Mechanical Engineers, Part C: Journal of Mechanical Engineering Science, 232(20), pp. 3733–3750. doi:10.1177/0954406217740927 . Yan, D., Tang, Q., Kovacevic, A., Rane, S. and Pei, L. (2018). Rotor profile design and numerical analysis of 2–3 type multiphase twin-screw pumps. Proceedings of the Institution of Mechanical Engineers, Part E: Journal of Process Mechanical Engineering, 232(2), pp. 186–202. doi:10.1177/0954408917691798 . Yan, D., Kovacevic, A., Tang, Q., Rane, S. and Zhang, W. (2017). Numerical modelling of twin-screw pumps based on computational fluid dynamics. Proceedings of the Institution of Mechanical Engineers, Part C: Journal of Mechanical Engineering Science, 231(24), pp. 4617–4634. doi:10.1177/0954406216670684 . Bianchi, G., Rane, S., Kovacevic, A., Cipollone, R., Murgia, S., Contaldi, G. … IOP, (2017). Grid generation methodology and CFD simulations in sliding vane compressors and expanders. IOP Conference Series : Materials Science and Engineering, 232. doi:10.1088/1757-899X/232/1/012053 . Yan, D., Kovacevic, A., Tang, Q. and Rane, S. (2017). Numerical investigation of flow characteristics in twin-screw pump under cavitating conditions. IOP Conference Series: Materials Science and Engineering, 232(1). doi:10.1088/1757-899X/232/1/012026 . Rane, S., Kovacevic, A. and IOP, (2017). Application of numerical grid generation for improved CFD analysis of multiphase screw machines. IOP Conference Series: Materials Science and Engineering, 232. doi:10.1088/1757-899X/232/1/012017 . kovacevic, A. and Rane, S. (2017). Algebraic generation of single domain computational grid for twin screw machines. Part II. Validation. Advances in Engineering Software, 109, pp. 31–43. doi:10.1016/j.advengsoft.2017.03.001 . Bianchi, G., Rane, S., Kovacevic, A. and Cipollone, R. (2017). Deforming grid generation for numerical simulations of fluid dynamics in sliding vane rotary machines. Advances in Engineering Software, 112, pp. 180–191. doi:10.1016/j.advengsoft.2017.05.010 . Rane, S. and Kovacevic, A. (2017). Algebraic generation of single domain computational grid for twin screw machines. Part I. Implementation. Advances in Engineering Software, 107, pp. 38–50. doi:10.1016/j.advengsoft.2017.02.003 . Buckney, D., Kovacevic, A. and Stosic, N. (2017). Design and evaluation of rotor clearances for oil-injected screw compressors. Proceedings of the Institution of Mechanical Engineers, Part E: Journal of Process Mechanical Engineering, 23(1), pp. 26–37. doi:10.1177/0954408916660342 . Kovacevic, A., Stosic, N. and Smith, I.K. (2017). Editorial. Proceedings of the Institution of Mechanical Engineers, Part E: Journal of Process Mechanical Engineering, 231(1), p. 3. doi:10.1177/0954408916685022 . Bianchi, G., Rane, S., Kovacevic, A., Cipollone, R., Murgia, S. and Contaldi, G. (2017). Numerical CFD simulations on a small-scale ORC expander using a customized grid generation methodology. Energy Procedia, 129, pp. 843–850. doi:10.1016/j.egypro.2017.09.199 . Read, M., Smith, I., Stosic, N. and Kovacevic, A. (2016). Comparison of organic rankine cycle systems under varying conditions using turbine and twin-screw expanders. Energies, 9(8). doi:10.3390/en9080614 . Madhav, K.V. and Kovačević, A. (2015). Economics of water injected air screw compressor systems. IOP Conference Series: Materials Science and Engineering, 90(1). doi:10.1088/1757-899X/90/1/012012 . Rane, S., Kovačević, A. and Stošić, N. (2015). Analytical Grid Generation for accurate representation of clearances in CFD for Screw Machines. IOP Conference Series: Materials Science and Engineering, 90(1). doi:10.1088/1757-899X/90/1/012008 . Buckney, D., Kovacevic, A. and Stosic, N. (2015). Rotor clearance design and evaluation for an oil injected twin screw compressor. IOP Conference Series: Materials Science and Engineering, 90(1). doi:10.1088/1757-899X/90/1/012003 . Arjeneh, M., Kovacevic, A., Rane, S., Manolis, M. and Stosic, N. (2015). Numerical and Experimental Investigation of Pressure Losses at Suction of a Twin Screw Compressor. IOP Conference Series: Materials Science and Engineering, 90(1). doi:10.1088/1757-899X/90/1/012006 . Schembri, M., Farrugia, P., Wodehouse, A.J., Grierson, H. and Kovacevic, A. (2015). Influence of sketch types on distributed design team work. CoDesign, 11(2), pp. 99–118. doi:10.1080/15710882.2015.1054841 . Rane, S., Kovacevic, A., Stosic, N. and Kethidi, M. (2014). Deforming grid generation and CFD analysis of variable geometry screw compressors. Computers and Fluids, 99, pp. 124–141. doi:10.1016/j.compfluid.2014.04.024 . Rane, S., Kovacevic, A., Stosic, N. and Kethidi, M. (2013). Grid deformation strategies for CFD analysis of screw compressors. International Journal of Refrigeration. Kovacevic, A., Rane, S. and Stosic, N. (2013). Grid Generation for Screw Compressors with Variable Geometry Rotors. International Journal of Aerospace and Lightweight Structures (IJALS), 3(2), pp. 191–191. doi:10.3850/s2010428613000603 . Stosic, N., Smith, I.K., Chukanova, E. and Kovacevic, A. (2013). Experimental Investigation and Numerical Modelling of Dynamic Behaviour of Screw Compressor Plant. Universal Journal of Engineering Science, 1(3), pp. 68–79. doi:10.13189/ujes.2013.010302 . Stosic, N., Smith, I.K. and Kovacevic, A. (2012). Numerical and experimental research in heat transfer to screw compressor rotors. Frontiers in Heat and Mass Transfer, 3(2). doi:10.5098/hmt.v3.2.3003 . Stosic, N., Smith, I.K., Kovacevic, A. and Mujic, E. (2011). Geometry of screw compressor rotors and their tools. Journal of Zhejiang University: Science A, 12(4), pp. 310–326. doi:10.1631/jzus.A1000393 . Smith, I.K., Stosic, N., Mujic, E. and Kovacevic, A. (2011). Steam as the working fluid for power recovery from exhaust gases by means of screw expanders. Proceedings of the Institution of Mechanical Engineers, Part E: Journal of Process Mechanical Engineering, 225(2), pp. 117–125. doi:10.1177/2041300910393429 . Mujic, E., Kovacevic, A., Stosic, N. and Smith, I.K. (2011). Noise generation and suppression in twin-screw compressors. Proceedings of the Institution of Mechanical Engineers, Part E: Journal of Process Mechanical Engineering, 225(2), pp. 127–148. doi:10.1177/1464419311403875 . Stosic, N., Smith, I., Kovacevic, A. and Mujic, E. (2011). Review of Mathematical Models in Performance Calculation of Screw Compressors. International Journal of Fluid Machinery and Systems, 4(2). Kovacevic, A., Mujic, E., Stosic, N. and Smith, I. (2010). Extending the Role of Computational Fluid Dynamics in Screw Machines. Proc. IMechE, Part E: J. Process Mechanical Engineering, 225, pp. 1–15. Stosic, N., Mujic, E., Kovacevic, A. and Smith, I.K. (2009). Influencia de la forma del puerto de descarga en las prestaciones del compresor de tornillo y en las pulsaciones del gas. Frío-calor y aire acondicionado, 417, pp. 14–23. Mujic, E., Kovacevic, A., Stosic, N. and Smith, I.K. (2008). The influence of port shape on gas pulsations in a screw compressor dischange chamber. Proceedings of the Institution of Mechanical Engineers, Part E: Journal of Process Mechanical Engineering, 222(4), pp. 211–223. doi:10.1243/09544089JPME205 . Smith, I.K., Stosic, N., Kovacevic, A. and Langson, R. (2007). Cost effective small scale ORC systems for power recovery from low enthalpy geothermal resources. Transactions - Geothermal Resources Council, 31, pp. 529–534. Kovacevic, A., Stosic, N., Mujic, E. and Smith, I.K. (2007). CFD INTEGRATED DESIGN OF SCREW COMPRESSORS. ENGINEERING APPLICATIONS OF COMPUTATIONAL FLUID MECHANICS, 1(2), pp. 96–108. doi:10.1080/19942060.2007.11015185 . Smith, I.K., Stosic, N. and Kovacevic, A. (2005). Screw expanders increase output and decrease the cost of geothermal binary power plant systems. Transactions - Geothermal Resources Council, 29, pp. 787–794. Kovacevic, A. (2005). Boundary adaptation in grid generation for CFD analysis of screw compressors. International Journal for Numerical Methods in Engineering, 64(3), pp. 401–426. doi:10.1002/nme.1376 . Kovacevic, A., Stosic, N. and Smith, I.K. (2004). A numerical study of fluid-solid interaction in screw compressors. IJCAT, 21, pp. 148–158. Stosic, N., Smith, I.K. and Kovacevic, A. (2003). Opportunities for innovation with screw compressors. Proceedings of the Institution of Mechanical Engineers, Part E: Journal of Process Mechanical Engineering, 217(3), pp. 157–170. doi:10.1243/095440803322328836 . Stosic, N., Smith, I.K. and Kovacevic, A. (2003). Optimisation of screw compressors. Applied Thermal Engineering, 23(10), pp. 1177–1195. doi:10.1016/S1359-4311(03)00059-0 . Stosic, N., Smith, I.K. and Kovacevic, A. (2003). Rotor interference as a criterion for screw compressor design. Journal of Engineering Design, 14(2), pp. 209–220. doi:10.1080/0954482031000091518 . Kovacevic, A., Stosic, N. and Smith, I.K. (2003). Three Dimensional Numerical Analysis of Screw Compressor Performance. Journal of Computational Methods in Sciences and Engineering, 3(2), pp. 259–284. doi:10.3233/JCM-2003-3206 . Stosic, N., Smith, I.K. and Kovacevic, A. (2002). Screw compressor: A strong link in the development chain. Tehnicki Vjesnik, 9(3-4), pp. 39–44. Smith, I.K., Stošić, N. and Kovačević, A. (2001). Twin screw machines to replace throttle valves in refrigeration systems. Strojniski Vestnik/Journal of Mechanical Engineering, 47(8), pp. 484–490. Stošić, N., Smith, I.K., Kovačević, A. and Aldis, C.A. (1997). The design of a twin-screw compressor based on a new rotor profile. Journal of Engineering Design, 8(4), pp. 389–399. doi:10.1080/09544829708907973 . Stošic, N., Milutinović, L., Hanjalić, K. and Kovačević, A. (1992). Investigation of the influence of oil injection upon the screw compressor working process. International Journal of Refrigeration, 15(4), pp. 206–220. doi:10.1016/0140-7007(92)90051-U . STOSIC, N., HANJALIC, K., KOVACEVIC, A., KOPRIVICA, J. and MARIJANOVIC, Z. (1990). MATHEMATICAL-MODELING AND EXPERIMENTAL INVESTIGATION OF REFRIGERATION SCREW COMPRESSOR WORKING PROCESS. STROJARSTVO, 32(1), pp. 17–25. Stosic, N., Hanjalic, K., Kovacevic, A., Koprivica, J. and Marijanovic, Z. (1990). Mathematical modelling and experimental investigation of refrigeration screw compressor working process. STRAJARSTVO, 32(1 , Jan., 1990), pp. 17–25. Kovacevic, A. (2012). Screw Machine with Variable Diameter Rotors. Kovacevic, A., Smith, I.K. and Stosic, N. (2012). Expander lubrication in vapour power systems. Kovacevic, A., stosic, N. and Smith, I.K. (2006). Expander lubrication in vapour power systems. Kovacevic, A., Smith, I.K. and Stosic, N. Controlling vapour power plant. Kovacevic, A. and Stosic, N. (2006). DISCO. London: City University London. kovacevic, A. and Rane, S. (2005). SCORG – the software for design and analysis of Screw Compressors, Pumps and Motors..
Chairman of the 9th International Conference on Compressors and Their Systems, London, September 2015. Chairman of the 15th International Conference on Engineering and Product Design Education to be held in Twente, Netherlands on 4th and 5th September 2014. Associate Editor for Journal of Process Mechanical Engineering. 9th International Conference on Compressors and their Systems. Mermaid Conference Centre - Blackfriars, London (2015). Description: Chairman of the 9th International Conference on Compressors and Their Systems held from 7-9th September 2015. Featuring participation by manufacturers of compressors, expanders and systems and control systems, equipment suppliers, users and research organisations. This conference provided a forum where developments in air, gas and refrigeration compressors, vacuum pumps, expanders, related systems and components can be presented for discussion. 8th International Conference on Compressors and their Systems. City University London (2013). The International Conference on Compressors and their Systems is organized by City University in conjunction with the Institution of Mechanical Engineers, This is biannual meeting of industrial and academic leaders in compressors. 15th International Conference on Engineering and Product Design Education. Dublin Institute of Technology, Dublin, Ireland (2013). Description: The 15th International Conference on Engineering and Product Design Education Conference is organised by the School of Manufacturing & Design Engineering, Dublin Institute of Technology (DIT), in participation with the Design Education Special Interest Group (DESIG) of the Design Society and the Institution of Engineering Designers (IED). Ahmed Kovacevic is in the organising committee on behalf of Design Society. The conference will bring together representatives from education, design practice, industry and government agencies that have an interest in developing new approaches and directions in design education. The 13th International Conference on Engineering and Product Design Education. City University London (2011). Description: The E&PDE conference bring together representatives from education and industry who have an interest in sharing new perspectives on design education. The conference will provide a forum for educators, practitioners and students from product development, engineering and industrial design, together with industry to discuss current educational issues and the nature of design education now and in the future. This year's conference theme, Design Education for creativity and Business Innovation aims to provide a platform for participants to explore how design education can impact upon and strengthen business innovation. 7th International Conference on Compressors and their Systems. City University London (2011). 6th International Conference on Compressors and Their Systems. City University London (2009). Description: The International Conference on Compressors and their Systems is organized by City University in conjunction with the Institution of Mechanical Engineers, This is biannual meeting of industrial and academic leaders in compressors. Advances in Modelling of Screw Machines. International Conference on Screw Machines Technische Universität Dortmund 18th-19th September 2018 (2018). Twin screw compressors used in refrigeration, gas and air compression represent approximately 80% of the millions of industrial positive displacement compressors produced globally each year. More than 95% of these are oil injected. A derivative of this type of machine operates as an expander to generate power. Screw expanders often operate with phase changing organic fluids and oil injection. Similar machines such as twin screw pumps are commonly used for pumping multiphase fluids containing gas, liquid and solid particles and may be subject to cavitation. Such machines, when operating with multiphase fluids, need to operate both reliably and efficiently. Multiphase twin screw machines are traditionally analysed and designed by the use of chamber thermodynamic models. However for their further improvement, it is necessary to use more advanced modelling techniques. One of the options is 3D Computational Fluid Dynamics (CFD). In order to obtain fast and accurate predictions of multiphase screw machine performance, it is necessary to generate numerical grids of the highest quality both quickly and reliably. This keynote address will give an introduction to the history and the current state of modelling multiphase twin screw machines such as compressors, expanders and pumps, using CFD and the importance of grid generation on the accuracy and speed of calculation. The presentation will also indicate future challenges and development trends in grid generation and in the use of CFD for modelling screw machines. Modelling of Multiphase Twin Screw Machines. 4th International Conference “New Technologies NT-2018“ Sarajevo 2018 (2018). Twin screw compressors used in refrigeration, gas and air compression represent approximately 80% of the millions of industrial positive displacement compressors produced globally each year. More than 95% of these are oil injected. A derivative of the concept operates as an expander to generate power. Screw expanders often use a phase changing organic fluids and oil injection. Twin screw pumps are commonly used for pumping fluids which often contain gas, liquid and solid particles and may be subject to cavitation. Reliability and efficiency of such machines operating with multiphase fluids is of utmost importance for economy and ecology. Multiphase twin screw machines are traditionally analysed and designed by use of chamber thermodynamic models for performance calculation. However for further improvement of efficiency and reliability it is necessary to use more advanced modelling techniques such as 3D Computational Fluid Dynamics (CFD). In order to obtain fast and accurate solution of multiphase screw machines, it is important that a numerical grid of the highest quality is generated quickly and reliably. For that purpose, a deforming grid of a twin screw machine is generated using algebraic transfinite interpolation upon which an elliptic partial differential equations (PDE) of the Poisson’s form are solved numerically to produce smooth final computational mesh. The speed of mesh generation and the quality of numerical cells and their distribution allow use of variety of commercial CFD solvers for reliable and fast analysis of multiphase screw machines. This keynote address reviews the current state of art in the application of CFD in modelling of multiphase twin screw machines including compressors, expanders and pumps. The presentation will also indicate the future challenges and development trends in application of CFD for multiphase twin screw machines. Modelling of Multiphase Twin Screw Machines. 8thInternational Conference on Compressors and Refrigeration, Xi’an, China, 20-22/07/2017 (2017). Twin screw compressors used in refrigeration, gas and air compression represent approximately 80% of the millions of industrial positive displacement compressors produced globally each year. More than 95% of these are oil injected. Oil injected twin screw compressor is just one type of multiphase screw machines. Other include twin screw expanders, multiphase pumps and motors. Multiphase twin screw machines are traditionally analysed and designed by use of chamber thermodynamic models. However for further improvement of efficiency and reliability it is necessary to use more advanced modelling techniques such as 3D Computational Fluid Dynamics (CFD). In order to obtain fast and accurate solution of multiphase screw machines using CFD, it is important that a numerical grid of the highest quality is generated quickly and reliably. For that purpose, a deforming grid of a twin screw machine is generated using algebraic transfinite interpolation upon which an elliptic partial differential equations (PDE) of the Poisson’s form are solved numerically to produce smooth final computational mesh. This is built in the grid generation software SCORGTM which allows fast mesh generation and the quality of numerical mesh for use with variety of commercial CFD solvers. A test oil injected twin screw compressor with rotor configuration 4/5 and 127 mm main rotor diameter was measured in the compressor rig of the Centre for Compressor Technology at City, University of London. The performance prediction obtained using SCORG mesh and commercial CFD solver showed a close match with measured mass flow rates and indicated power. The model provided an exceptional visualization of the interaction of gas and oil inside the compression chamber. The mixing of the phases, distribution of oil, heat transfer between gas and oil and also effects on sealing due to high oil concentration in leakage gaps were well captured. ADVANCES IN MODELLING SCREW MACHINES. Xia'n Jiaotong University, Xia'n China (2015). Positive displacement screw machines are classified as compressors, expanders, extruders, blowers, vacuum pumps, liquid and multiphase pumps. They are commonly used in industrial refrigeration, air conditioning, process gas compression and variety of liquid, multiphase and vacuum pumping applications. It is estimated that almost 20% of world energy consumption is used for various means of gas compression and pumping. Therefore, reliability and efficiency of such machines have large impact on economy and ecology important for every manufacturer of such machines. Screw machines are normally designed with the aid of analytical tools, based often on one-dimensional flow models solved by numerical methods and validated by experiments. Continuing demands for improvements in accuracy when designing such machines for existing or new applications have generated a need to use advanced means of assessment of fluid flow and solid fluid interaction within these machines such as 3D Computational Fluid Dynamics and Computational Continuum Mechanics. The first use of CFD for analysis of screw machines was reported in late 1990’s. Since then, significant developments have been made to allow use of CFD in the design process of such machines. The most significant development which enabled such calculation methods was grid generation of the flow domains in software SCORG with the numerical grids capable of accurate and fast CFD calculation. This paper reviews the state of the art in application of CFD in modelling of positive displacement screw machines and outlines the benefits which the use of such techniques may bring. The paper also identifies challenges and future development trends in application of CFD for rotary positive displacement screw machines. Ahmed Kovacevic sits on the Board of Fluid Machinery Group since year 2011. Fluid Machinery Group organizes conferences, workshops and courses in the field of Fluid Machinery and steers policies in the field of these machines within the UK.